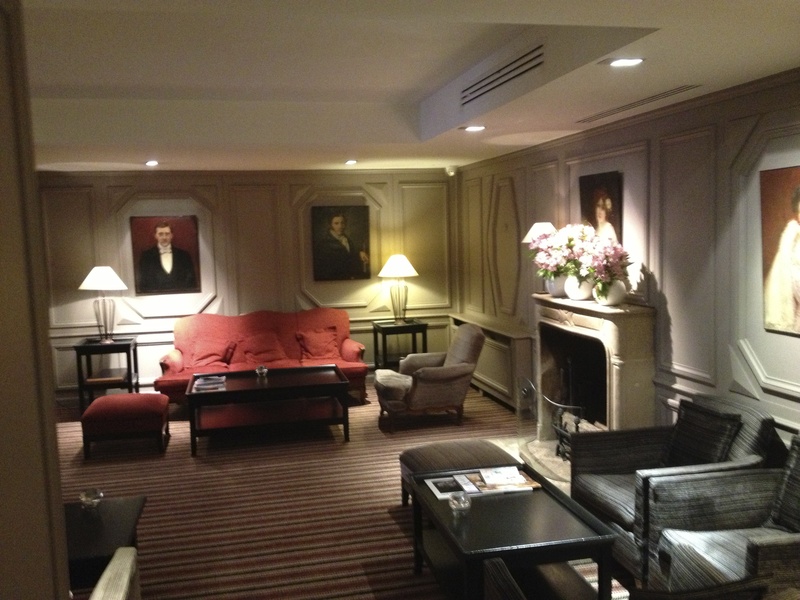 Relais Christine – “a charming hotel in the heart of Paris”. Yes we agree with that. 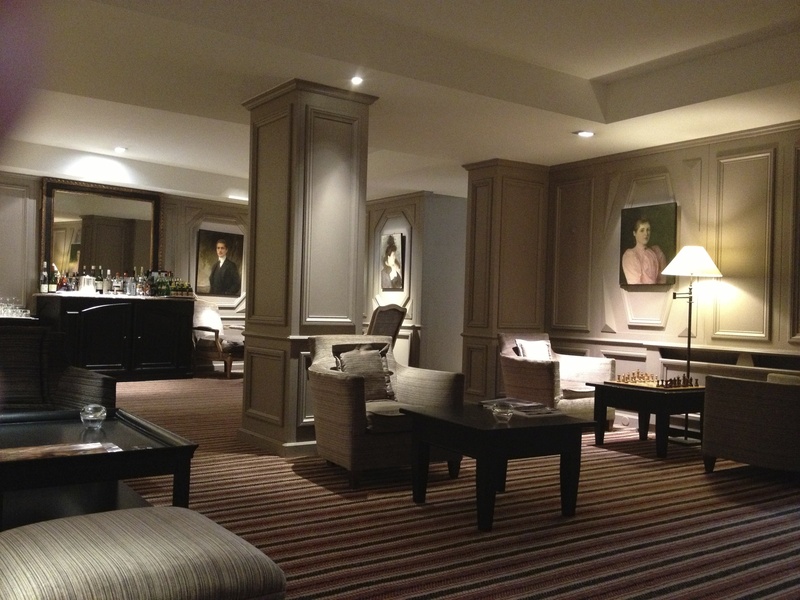 In a quiet small street in the Left Bank area this lovely SLH hotel is charming, discreet and yet still fun. While their web site might run a bit slow keep at it – this hotel is a real find. 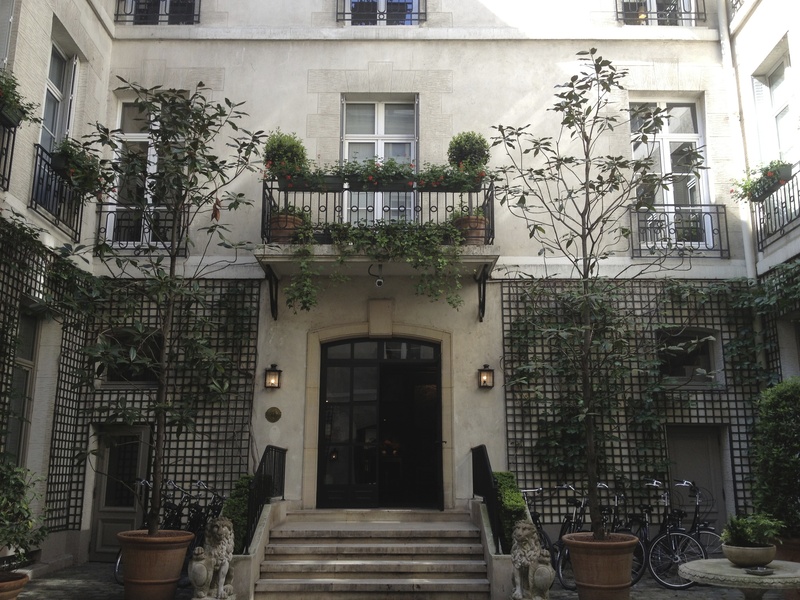 Not glitzy and in your face, no restaurant (breakfast & room service is available), the rooms are a decent size by Paris standards and the duplex rooms are great fun – with separate bath and shower rooms and loos on both floors. Half a bottle of champagne awaits you in the room and all the usual requirements are there. Bathrooms are black and white with marble and toiletries by Argan. Lovely courtyard at the front of the hotel add even more peace and a club style sitting room with honesty bar completes the picture. Free wifi – always a good thing! A short walk from many places and a short taxi ride from the rest!